If a chilling night safari is on your mind, you need to make a trip to the Jim Corbett National Park, located in the northern Indian state of Uttaranchal. The varied landscape and the diverseness of sights and sounds would surely make your visions sharper and senses keener. Sprawling over a huge area of 1,319 sq km, the Jim Corbett National Park was named after hunter-turned-naturalist Jim Corbett after his demise in Kenya in 1955. The man truly played a vital role in making this park one of the most well-established in the country. 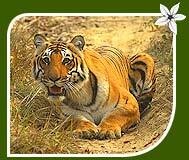 Corbett National Park is a real haven for tigers, aside from varied species of their prey. Lots of moments are just waiting for you in the park, chilling, horrifying and hilarious. The terrain of the national park also shows a good variety  hilly and riverine areas, marshlands, plateaus and ravines. The park has to boast 50 species of mammals, 580 species of birds and around 25 species of reptiles. 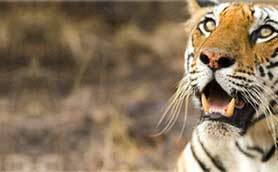 Some of the most commonly spotted animal species include leopard, elephant, sloth bear, dhole, Himalayan black bear, wild dog, hyena, ghoral, langur, rhesus monkeys, jackal, spotted deer and barking deer among others. Even the smaller-resident list is no less interesting. There are species to be watched like Himalayan palm civet, Indian gray mongoose, common otter, black naped hare, porcupine etc. Reptile lovers can head straight to the shores of the Ramganga River. Here, they will be able to see reptilian species like long-snouted gharial, fish-eating gharial crocodile, mugger crocodile etc. 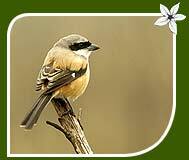 Birding along the Kosi River is wonderful experience for all. Ramnagar, the administrative headquarters of the Corbett National Park, is a famous fishing base. Adventurers can plan a fishing trip here and try to catch the almost legendary mahaseer. Apart from spotting wildlife species in the park, wildlife lovers also enjoy bird watching, for the parks shelters around 577 bird species. Also be ready to enjoy nature walks inside the national park. You need to be accompanied by a tourist guide though. Phoolbagh, Pantnagar (50 km), is the nearest domestic airport whereas the closest international airport is Delhis IGI Airport. Located on the broad gauge track, Ramnagar serves as the closest railhead from the national park. For express and super-fast trains, tourists need to change at Moradabad. 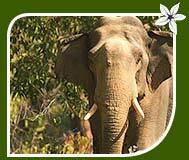 The national park is easily accessible by road as well, from most of the key destinations of India. There are regular luxury bus services available from places like Delhi, Lucknow, Nainital and Ranikhet. 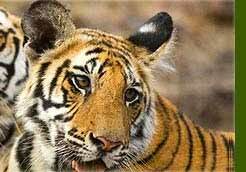 There is no dearth of jungle resorts and cottages at Corbett. Tourists have a number of options to choose from. Resorts preferred by tourists are as follows.